There is a fine art to listing a home to sell quickly and still bring you the highest price. The right REALTOR® can make it happen, and help you with every step of the process from listing, marketing, and showing your home to making sure you are ready to move on time. Using a licensed REALTOR® to sell your home is one of the wisest decisions you can make for lots of reasons. But every REALTOR® is different. We suggest you interview a few to find one who you feel comfortable with. 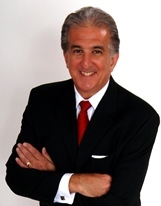 As a RE/MAX Top Producer, Joe D’s success is due in part to his unique approach. He gets more for your home. On every $100,000 of your home price, that is a difference of $3,000! On a $200,000 home, that is a difference of $6,000! That means he does better for you than the “average agent” and the so-called discount agents.